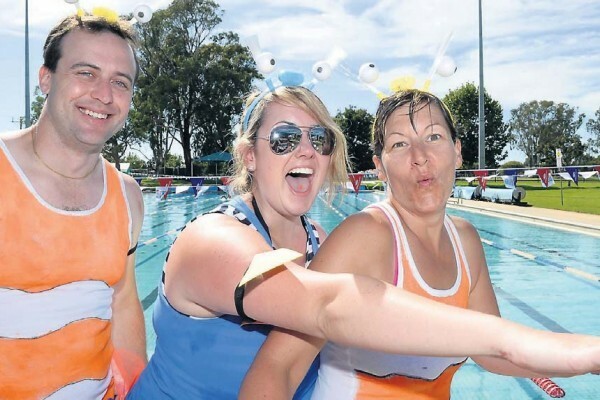 Charity swimmers raise $10,000 - Aquamoves – Indoor and outdoor pools, fitness facilities and programs in Shepparton, Victoria. Dozens of swimmers young and old made a big splash at Aquamoves over the weekend for a good cause. Taking the plunge: Charlie Higgins, 7. Fun day out: Mark Wickham, Stephanie Rowe and Trish Chmiel at Aquamoves at the weekend. 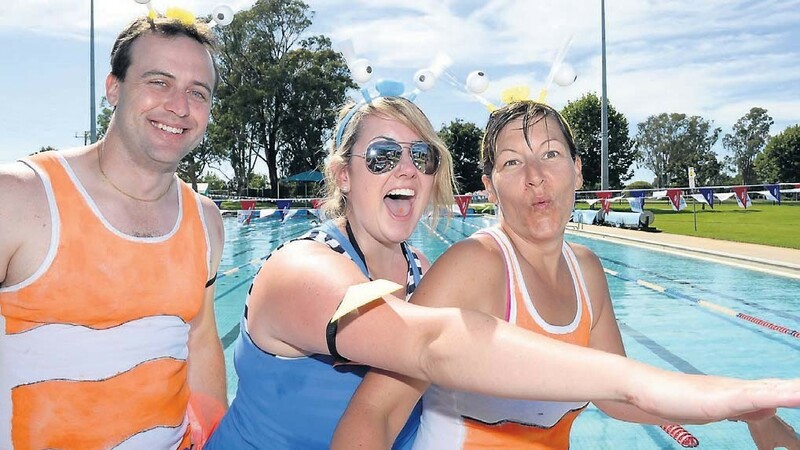 Five teams and 50 participants raised more than $10 000 in the MS MegaSwim in Shepparton, with all proceeds going towards assisting those living with multiple sclerosis. A large number had their own personal motivations for taking part in the event, with many having a family member or friend living with the debilitating disease. The MS MegaSwim has raised more than $100 000 in Shepparton alone since it was first held in the city seven years ago. Article courtesy of Shepparton News 9 February 2016. Written by Cameron Whiteley, photos by Holly Curtis.